Have Researchers Found Dinosaur Genes? 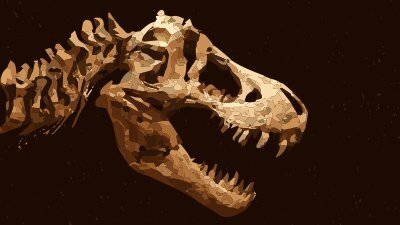 A recent study out of the University of Kent claims to have pieced together a portion of a dinosaur’s genome. This is a massive accomplishment—if their claim is true. However, the team of researchers made a critical assumption that led them to this conclusion. This assumption laid a shaky foundation for the research to build upon and thus invited others to challenge it. Challenging the research merely requires challenging the assumption upon which the research is based. To perform this research, the scientists attempted to deduce the genome of a precursor to the dinosaurs. This precursor, they postulated, originated around 20 million years before the dinosaurs themselves existed. Using this deduced genome, the researchers then worked forward, tracing the changes in chromosomes up the evolutionary tree of life. The scientists continued tracing until they reached birds, which they considered as either living dinosaurs or the descendants of dinosaurs. The original study, published in the peer-reviewed science journal Nature Communications, made the following claim: “Given our data, it is perhaps not an unreasonable speculation that, if we had the opportunity to make metaphase chromosomes from tissue of non-avian theropods, both karyotypic and molecular cytogenetic analysis (genome size aside) would reveal little difference from a modern chicken, duck or ostrich (or at least a spiny soft-shelled turtle).”1 The study’s authors basically made the claim that a Velociraptor would have similar DNA to a modern chicken if the DNA were viewed under a microscope. That is an extremely bold claim to make! This study would be a major breakthrough if it were accurate. However, the underlying assumption makes the research vulnerable to being overturned. If the assumption proves to be wrong, the research is suspect. This study makes the major assumption that birds and dinosaurs are essentially the same and, therefore, have a common ancestor. While this is central to evolutionary philosophy, evidence for its veracity is scarce, and much of what so-called evidence exists is based on conjecture. Evolutionists cite Archaeopteryx and supposedly feathered dinosaur fossils as evidence for their theory. These examples come with problems. Dr. Michael Denton explains the issues with Archaeopteryx in his book Evolution: A Theory in Crisis: "However, in one respect, flight, the most characteristic feature of birds, Archaeopteryx, was already truly bird. On its wing, there are flight feathers as fully developed as any modern bird, and recent research reported in 1979 suggests that it was as capable of powered flight as a modern bird.”2 Further, while it does have teeth, the teeth do not resemble reptilian teeth at all. Archaeopteryx is best regarded as an extinct, toothed variety of bird. Feathered dinosaurs present the second problem to evolutionists. The first issue with the feathers found on dinosaur fossils is that many of them are found in China. China has a history of falsifying fossils, a fact thoroughly reported even in as mainstream a media outlet as CNN. It has also become a topic of some concern within the scientific community.3 Further, many of the truly feathered “dinosaurs” are really just birds and not dinosaurs. 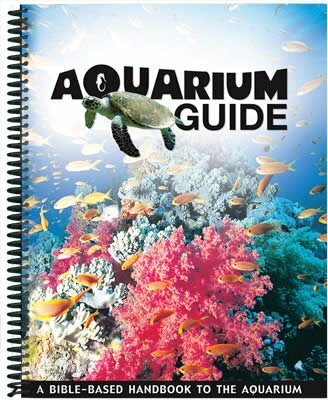 As Answers in Genesis President Ken Ham is fond of saying, “Fossils don’t come with labels on them.”4 It is sometimes difficult to classify a fossil, particularly a fragmented or partial one, and partial, fragmented fossils make up the majority of the fossil record. Troublingly, just about any projection from a fossil’s skin has been classed as a feather. This hasty classification has led to an explosion of reportedly feathered dinosaurs. However, one of the leading experts on fossil birds, Dr. Alan Feduccia, believes the evidence against feathered dinosaurs is “overwhelming.”5 In one of his papers examining these filaments, he pointed out the differences between feathers and the filaments. “We conclude that ‘protofeathers’ are probably the remains of collagenous fiber ‘meshworks’ that reinforced the dinosaur integument.”6 In other words, many “protofeathers” are simply the filamentous remains of soft tissue like collagen exuded from the body during decay or fossilization. This statement puts a different perspective on a significant number of feathered dinosaurs. It raises the possibility that many feathered dinosaurs are not actually feathered—or even fuzzy—at all. The way the study was reported, the University of Kent appeared to have discovered the genome of a dinosaur. This is not the case. The researchers used the chicken genome as its primary source, although they used other sources including reptilian and mammalian variants. The chicken was chosen as the basis because its genome had purportedly changed the least from its reptilian ancestors. No dinosaur genome has ever been observed simply because no dinosaurs are currently alive. Because DNA is very unstable outside the body and degrades rapidly, it is unlikely that such a genome will be sequenced in the foreseeable future. Thus, the researchers had to assume that the chicken had changed the least from its presumed ancestors. (Keep in mind that they had no hard evidence that this was the case.) They then took that assumption and used it to build a genome for a hypothetical dinosaur ancestor. It should come as no surprise that the genome they deduced resembled modern birds; after all, they used several bird genomes as part of the basis for the study. Assumptions are not necessarily bad things, but they should be based on facts. 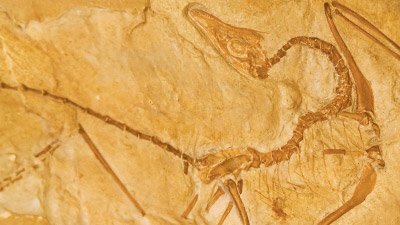 Assuming a shared ancestry of both dinosaurs and birds is based largely on a few fossilized creatures that are at least open to interpretation. 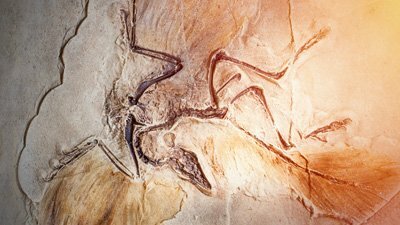 Since fossils like Archaeopteryx and others show the major characteristics of birds, there is no reason not to consider them as birds. While some scientists refer to the feathered dinosaur fossils as evidence for evolution, there is significant debate as to whether they are feathered at all. If they are not feathered, then this assumption becomes even weaker and less factually based. Further, the study results suggesting that chickens and theropod dinosaurs share similar DNA is unproven because theropod DNA has never been sequenced. Comparing it to chicken DNA is thus impossible. This study is predicated on a flawed but necessary assumption because the scientists believe in a secular worldview. This worldview excludes any possibility of a God; therefore, it is forced to rely on wholly naturalistic mechanisms. When the data does not support these mechanisms, assumptions must be made. Otherwise, scientists would have to conclude that there is a God. Noted evolutionist Dr. Richard Lewontin explains why this option is unacceptable to evolutionists: "It is not that the methods and institutions of science somehow compel us to accept a material explanation of the phenomenal world, but, on the contrary, that we are forced by our a priori adherence to material causes to create an apparatus of investigation and a set of concepts that produce material explanations, no matter how counter-intuitive, no matter how mystifying to the uninitiated. Moreover, that materialism is absolute, for we cannot allow a Divine Foot in the door.”7 Dr. Lewontin is admitting here that many evolutionists will always look for a materialistic explanation, regardless of evidence. This explains why the authors of the aforementioned study make such flawed assumptions. They had to make it or else risk acknowledging the possibility of a divine entity, which creationists know to be the God of the Bible. Baby T.rex—An “Adorable Ball of Fluff”? If It Looked Like a Bird and Flew Like a Bird . . . It Must Be a Dinosaur! Rebecca E. O`Conner, et al., “Reconstruction of the Diapsid Ancestral Genome Permits Chromosome Evolution Tracing in Non-avian Dinosaurs” Nature Communications 9, no.1883, https://www.nature.com/articles/s41467-018-04267-9. Michael Denton, Evolution: A Theory in Crisis (Chevy Chase, Maryland: Adler & Adler Publishers, 1985), 178. Ken Ham, “Fossil Find Open at Ark Encounter,” Ken Ham Blog (July 25, 2018), https://answersingenesis.org/blogs/ken-ham/2016/08/19/fossil-find-open-ark-encounter/. Feduccia, Alan. The Origin and Evolution of Birds (New Haven: Yale University Press, 1999), 91. Richard Lewontin, “Billions and Billions of Demons,” Drjbloom.com (January 9, 1997), http://www.drjbloom.com/Public%20files/Lewontin_Review.htm.